Seventy-five years ago, on November 28 - December 1, 1943, the leaders of the Soviet Union, the United States and Great Britain – the three great Allied powers waging a bloody battle against fascism - were meeting in the Iranian capital Tehran. 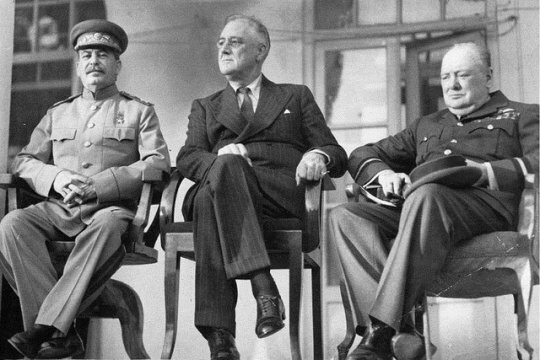 The Tehran Conference (codenamed Eureka) was the first such gathering by the Soviet, US and British leaders during World War II. Why was the Iranian capital chosen as the venue of that unique and fateful conference? In short, by the close of 1943, Iran had become a venue of choice for the three Allied leaders. Confrontation with Great Britain was one of Tehran’s main foreign policy priorities almost throughout the entire reign of Shah Reza Pahlavi (1925 - 1941). During the 1920s, Iran maintained normal relations with the USSR. In the 1930s, fearing the prospect of being subjugated by the Soviet Union and Britain, the Shah intensified contacts with Germany as a third force and the main enemy of both Britain and the USSR. Shortly before World War II, the Shah had already established a special relationship with Nazi Germany. This situation did not sit well with either Britain or the USSR, even less so after June 22, 1941. In an official note on June 25, 1941 Berlin demanded that Iran enter the war as its ally. In July, Moscow and London were already discussing the details of a joint military operation in Iran. August 25 saw the start of Operation Countenance with Soviet troops entering Iran from the north and the British - from the south. Three days later, on August 28, Reza Shah canceled his order for the Iranian army to hold back the allied troops entering the country and abdicated in favor of his son Mohammed Reza Pahlavi. On January 29, 1942, after a series of negotiations between the Allied powers and the new Shah and the new Iranian government, an Anglo-Soviet-Iranian Treaty (Tripartite Treaty) was signed guaranteeing Iran’s protection "against any aggression from Germany or any other power," its territorial integrity, political independence and also an Allied troop withdrawal "not later than six months after the cessation of all hostilities between the Allied states and Germany." On September 9, 1943, Iran declared war on Germany. 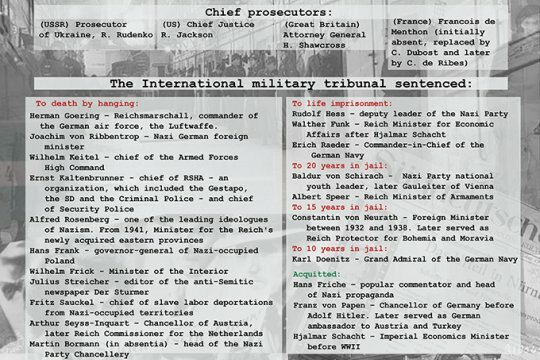 According to historians, the 1942 treaty turned Iran from a country preparing to become a springboard for the war against the USSR, into its ally, a full-fledged participant in the fight against fascism. Thus, by the time the Teheran Conference went underway, Iran had become a full-fledged ally of the countries of the anti-Hitler coalition and believed that it could act on an equal footing with its other participants and enjoy their trust. This gave enough reason to consider Iran a reliable platform for negotiations by the Allied leaders. So, when the idea of holding a conference came up, Stalin, in correspondence with Roosevelt and Churchill, proposed meeting in Tehran. The venue appealed to Stalin not only because of its relative proximity to the Soviet Union and the presence of Soviet troops in Iran, but also due to the availability of wire telegraph and telephone communication with Moscow. In another plus, the Soviet Union, Britain and the United States all had their embassies in Tehran. Another thing that factored in the Allied leaders’ choice of Tehran as the venue of the meeting was that Iran was under the control of Soviet, British and, in part, American troops. Moreover, the secret services of the three countries had sufficiently “cleansed” Tehran of enemy agents and were fully equipped to foil terrorist attacks that could be staged against the troika of Allied leaders. Churchill and Roosevelt had initially proposed venues more distant from the USSR, such as London, Alaska, Cyprus, Khartoum, Basra, Cairo, Istanbul, but Stalin insisted meeting in Tehran. According to researchers, before agreeing the venue and agenda of the upcoming conference, the three leaders had exchanged 32 messages. In his November 5 letter to Roosevelt, Stalin warned that otherwise he would refuse to participate in the conference and would send Molotov instead. The leaders of the Western world eventually had to accept his terms. Preparations for the conference were shrouded in complete secrecy. In Moscow, only a handful of members of Stalin’s innermost circle knew about the upcoming summit. The level of confidentiality in Washington and London was the same. It wasn’t until November 22, 1943 – just six days before the summit – that the Soviet charge d'affaires Mikhail Maximov notified the Iranian Prime Minister Ali Soheili that Stalin was coming to Tehran. The participating countries got down to the business of preparing for the upcoming summit, above all the Soviet security services. Tehran was under a special security regime. In October, a regiment of NKVD border guards arrived in Tehran to patrol and guard the premises of the upcoming meeting. 200 Red Army soldiers were deployed in and around the Soviet embassy, which had been turned into an impregnable fortress. According to official documents, Stalin’s security detail in Tehran numbered over 500 people. For example, the seven-kilometer highway Stalin’s motorcade was to pass through on its way from the airfield to the embassy was guarded by an NKVD regiment and plainclothes security agents, with backup units of machine gunners in covered trucks securing the surrounding by-streets. Throughout the conference, Tehran was completely cut off from air traffic, telegraph, road and rail communications; all radio broadcasts in Teheran were cancelled and the Iranian border closed. The whole country was virtually cut off from the outside world. Stalin left Moscow on November 22, 1943. His No. 501 train proceeded via Stalingrad to Baku. Stalin was traveling in a custom-built armored six-axle spring car, weighing over 80 tons. The entire 2,500-kilometer route was dozens, hundreds of times checked by the NKVD security services. Thousands of NKVD officers were posted along the way, especially at whistle stops and stations. On November 26, the train arrived at Kilyazi, a small station 85 kilometers from Baku. From there Stalin and his delegation were taken to the local airfield to board a pair of Douglas C-47 planes overhauled and prepared for the special mission. Three hours later, the planes landed safely in Tehran. Before Tehran, Stalin had avoided flying. Moreover, it was the first time since 1913 that the “the leader of all nations” had left the country. By November 28, the delegations of all the three great powers were already in the Iranian capital. Mindful of the tense political situation in Iran, Stalin suggested that Roosevelt stay at the Soviet embassy compound so that he would not have to move daily through the streets of Tehran, becoming a target of attack by enemy agents. While the Soviet and British embassies were located at a close distance from each other, the US mission was at a considerable distance (more than 1.5 kilometers) away from both, which created serious security problems for the US President. President Roosevelt accepted Stalin’s offer. However, Stalin was intentionally exaggerating the terrorist threat being well aware of Soviet intelligence reports, which said that the German spy network in Iran had already been effectively neutralized, its leaders arrested and Tehran itself turned into a closed city without anyone allowed to move in or out. Besides, historians say that President Roosevelt himself was not averse to the idea of being able to meet Stalin one-on-one without Churchill being around. President Roosevelt’s stay at the Soviet embassy was giving Stalin a chance to bear on him day in and day out convincing the American leader of the need to open a second front in Northern France, and not in the Balkans as Churchill insisted on. Subsequently, the conferees were meeting almost exclusively at the Soviet embassy, with the notable exception of the ceremonial dinner at the British embassy on November 30, 1943 to mark Winston Churchill’s 69th birthday. During his entire stay in Tehran, Stalin ventured outside the security zone only once, on November 30, when he became the only one of the Big Three to visit Shah Mohammed Reza Pahlavi at the Saadabad marble palace. “This is my most important meeting,” the Shah confessed to his confidant Hossein Fardoust. It is worth mentioning that since the agenda of the conference had not been agreed in advance, each delegation could raise any questions they deemed fit. The participants outlined their positions at joint plenary sessions and also during bilateral meetings and conversations at protocol events. The wide range of issues discussed at the conference can be divided into two categories: relating to the conduct of war and to the post-war global architecture. And, of course, issues pertaining to the war, above all the opening of a second front in Europe, took center stage. Each side outlined their idea about the scale, place and time of the landing of the Anglo-American troops. Roosevelt stood by the plan, dubbed Operation Overlord, agreed by the US and British leaders in August 1943 at the Quebec Conference, which envisioned a landing operation across the English Channel in northern France. Without directly opposing the plan, Churchill proposed expanding allied operations in Italy and the Balkans. This would allow the Anglo-American troops to occupy Central Europe and reach the Black Sea. Fully aware of Churchill's intention to check the Red Army's further advance in Europe, Stalin insisted that attacking the enemy in the north or northwest of France, while simultaneously landing in southern France, as envisaged by Operation Overlord, would be the best way to go. While backing this option, Roosevelt and Churchill still did not abandon their military-strategic plans in the Balkans and in southeastern Europe. They proposed ramping up assistance to the Yugoslav guerrillas and bringing Turkey into the war against Germany. Stalin acknowledged the expediency of these proposals, but noted that they should not be allowed to put off Operation Overlord and that Turkey "will not enter the war, no matter how much pressure we put on it." Stalin’s promise that, after the German surrender, the Soviet Union would be ready to declare war on Japan, if asked to do so by its allies, played an important role in the discussion of the second front. Apart from purely military issues, the conference also discussed matters pertaining to the post-war world. The United States and Great Britain proposed carving up Germany into five independent states. The Soviet delegation disagreed and so it was decided to refer the issue to the European Advisory Commission. The participants approved the idea of “four Ds”: 1. De-Nazification (the key condition envisaging the complete elimination of all Nazi organizations); 2. Demilitarization (disarmament of the German army); 3. Democratization (return of multi-party elections and all social freedoms); 4. Decartelization (dissolution of all large economic enterprises (cartels) that controlled the German economy and hamstringing medium and small enterprises). The so-called “Polish question” became a serious sticking point between the Soviet and British representatives. The Polish government, which at that time was in exile and based in Great Britain under Churchill’s protection, blamed Stalin for the execution of thousands of Polish officers in the Katyn forest during Poland’s occupation by Soviet and German troops in 1940. Stalin resolutely denied the accusations, saying it was just an attempt to blackmail him in order to wrest territorial concessions for Poland. It later turned out that Stalin lied and that the Katyn massacre was indeed ordered by Moscow. The participants still managed to agree on establishing the borders of Poland along the “Curzon Line” of 1920 in the east and along the Oder (Odra) River in the west. It was decided to satiate Warsaw’s territorial craving at the expense of Germany, which during the Middle Ages had snapped up large swathes of Polish territory. Stalin turned down US and British attempts to have him recognize the Polish émigré government in London, saying that the Soviet Union was drawing a line between Poland and the émigré government headquartered in Britain. Thus it was agreed that the territories of Western Ukraine and Western Belorussia were to become part of the Soviet Union. The participants also agreed that Koenigsberg (now Kaliningrad) and East Prussia (Kaliningrad Region) would likewise join the USSR. The Baltic States were also to become part of the Soviet Union, but only if their citizens voted so. The allies said they were aware of the “special economic difficulties” caused by the war and pledged to continue providing economic assistance to Iran, including after the war, and reaffirmed their desire to "maintain the independence, sovereignty and territorial integrity of Iran." The Declaration was met with great enthusiasm by the Iranian people and the ruling elite. Tehran’s Day and Kaani streets and Raphael Avenue were named after Roosevelt, Stalin and Churchill. 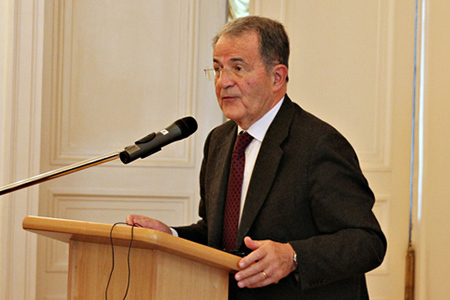 The Conference also tackled issues of post-war global security. President Roosevelt proposed establishing an international organization (this issue had earlier been discussed with Moscow), based on the principles of the United Nations. Stalin and Churchill generally endorsed the idea that precipitated the work on the creation of the United Nations Organization. The closing meeting of the Tehran Conference was on December 1. Upon their departure from Iran all the three Allied leaders sent telegrams of thanks to the Iranian leadership, with President Roosevelt and Prime Minister Churchill expressing their gratitude to His Majesty the Shah of Iran, and Stalin - to Prime Minister Ali Soheili. The participants met again in 1945 at a conference in Yalta (February 4 - February 11) and in Potsdam (July 17 - August 2). At the Potsdam Conference, the US was represented by its new president - Harry Truman, as Franklin Delano Roosevelt died on April 12, not living just 26 days to see the Allied Victory over Nazi Germany. The Yalta and Potsdam Conferences added a new dimension to the ideas of the post-war world, put forward in Tehran. The significance of the Tehran Conference both for the outcome of the Second World War and the post-war period is hard to overestimate. At the Tehran Conference, the leaders of the three Allied Powers, even despite their differences, sometimes very serious ones, still proved their desire and ability to agree on the fundamental issues of war and peace. The lessons of the Tehran Conference, held 75 years ago, still ring very true today when the world order, established as a result of three summits held during World War II is falling apart, the rift between countries, peoples, and denominations is widening and the threats to the world and the human race are growing. Having this in mind, the Tehran Conference proves over and over again that in the name of achieving peace, global security and humane and universal goals, it is possible to overcome the barriers of alienation in relations between countries with different ideological and spiritual values. Iran: Which way to go? 765: 30 seconds to mars. Tehran Conference 75 Year On: How It All Happened30 November 2018: Tehran Conference 75 Year On: How It All Happened! лучшие комедии. Tehran Conference 75 Year On: How It All Happened.